Mr Oaten described the act as "rather annoying"
An election row has broken out after a Conservative candidate used a web address naming his Lib Dem rival. Voters wanting to visit Winchester Lib Dem MP Mark Oaten's site by using markoaten.co.uk end up at Tory candidate George Hollingbery's site. Mr Oaten called on Mr Hollingbery to cancel the "trick", which he condemned as "pretty pathetic". Mr Hollingbery says he has just used "smart campaigning". Labour's Patrick Davies said it was a "piffling issue". Mr Hollingbery said a third party had bought the domain name markoaten.co.uk and offered it to him for use. Mr Oaten, the Lib Dems' home affairs spokesman, uses the domain name markoaten.com. He said: "It's a silly thing to do and rather annoying for people who are trying to find my website when they find they are looking at a Tory site. "I guess they feel the only way anybody would visit their site was to trick them into it via mine. "I would like my name back and I hope they cancel the trick as soon as possible. It is pretty pathetic." 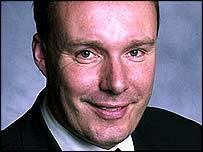 Labour candidate Patrick Davies said of the row: "It is a matter of no consequence as far as I can see. People can play these silly games. It's a piffling issue." But Mr Hollingbery said: "All it does is divert to my website and if someone does not like the Tories they can just type in markoaten.com. "I just wanted to make sure that Lib Dem voters have a chance to see my views. "If he gets really upset about it and he really thinks it appalling rather than smart campaigning I will devote it back."